In the south Willamette Valley, you’ll find wonderful trickle-down in seven waterfall wonders that stretch from the Cascade Mountains to the Oregon Coast. With spring snowmelt swelling the forested streams that feed them, these gorgeous cascades are more beautiful than ever. 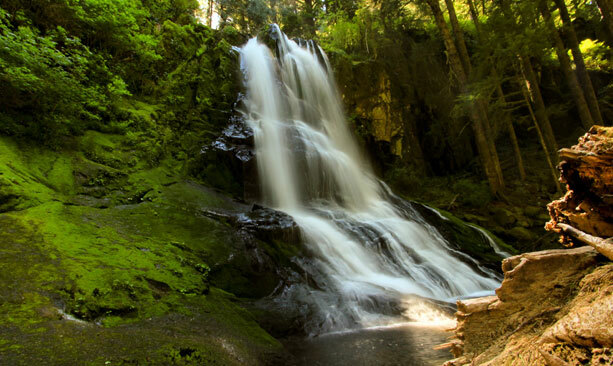 Oregon’s second highest single-drop waterfall is easily accessed by a half-mile paved trail. It’s a great viewpoint for young kids and people with limited mobility. (All facilities here are wheelchair accessible.) Find the trailhead about 20 miles east of Oakridge. One of the most powerful falls in the state, Salt Creek flows at 50,000 gallons per minute. Diamond Creek Falls is accessed from the Salt Creek Falls parking lot. Follow the falls trail along the canyon rim for a little over 2.5 miles for a view from the top of the falls. This broad cataract fans out about 85 feet across and drops more than 100 vertical feet. 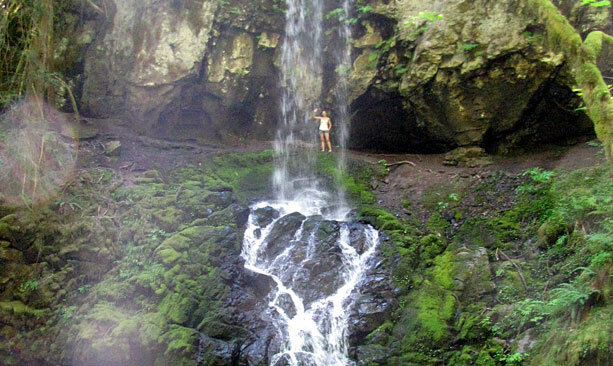 This elegant waterfall finds its way down three separate drops over 70 feet. With a punchbowl and horsetail spray ending in a large pool, this cascade is accessed 11 miles east of Mapleton in the Siuslaw National Forest. Includes a kid-friendly, 2.2-mile hike. This lovely waterfall comes with a moderate, 4.4-mile hike through old growth forest in the Siuslaw National Forest. From the trailhead (about 50 miles west of Eugene) the trail travels 0.8 miles to the upper falls and then 1.4 miles further on to a platform overlooking the lower falls, a dramatic, 100-foot twin drop. One of six waterfalls along the Row River Waterfall corridor outside of Cottage Grove, 60-foot Trestle Creek Falls is accessible by way of an easy, 0.6-mile trail. Bonus falls: From the same trail, you can hike behind the curtain of Upper Trestle Creek Falls. Find double the beauty with these two waterfalls on the same hike. Located about 20 miles northeast of McKenzie Bridge, the 100-foot Sahalie Falls and 70-foot Koosah Falls are thought to mean “heaven” and “sky,” respectively, in an old Native American trade language. A 2.6-mile loop trail connects the two falls in the McKenzie River National Forest. Photogenic Proxy Falls cascades 226 feet over moss covered basalt in twin streams. 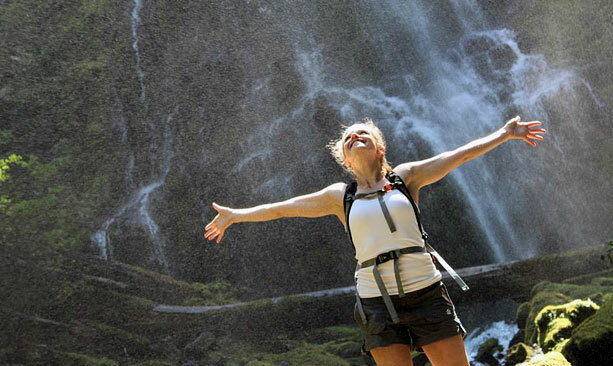 A short loop trail just over 1 mile affords viewpoints of upper and lower Proxy Falls. It’s best to visit between June and early November due to the seasonal closure of McKenzie Highway 242. Trailhead: Proxy Falls from Highway 242. For more information about these waterfalls and seasonal deals, visit the Eugene Cascades & Coast website.